Megan Chao is director of development and producer for Daniel H. Birman Productions, Inc., a documentary production company based in Los Angeles. She is currently producing Chasing Speed: Leslie Porterfield (working title), a pilot for Discovery’s new speed network, Velocity. The project follows Leslie Porterfield, the world’s fastest woman on a motorcycle, in her quest to break speed records. Concurrently, Chao is producing A Year in the Making: The Tournament of Roses for KCET, an exclusive documentary about the year-long process of creating the Rose Parade, an international benchmark for New Year’s Day. Prior, Chao was researcher and production coordinator for Me Facing Life: Cyntoia’s Story, a documentary feature that aired on PBS | Independent Lens, and Brace for Impact: The Chesley B. Sullenberger Story, a special produced for TLC and Discovery Channel. Chao is also adjunct faculty USC’s Annenberg School for Communication and Journalism. She works with undergraduate and graduate students in long-form production, from story inception to development, through production and post-production, where segments are finalized for television broadcast on public access channels. She is line producer for Annenberg’s award-winning newsmagazine show, Impact. Chao has a master’s degree in broadcast journalism from the University of Southern California, and dual bachelor’s degrees in biology and creative writing from the University of California at Riverside. 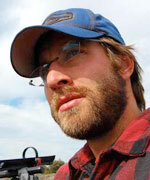 Evan Pondel is a Los Angeles-based journalist who has written for publications, including The Wall Street Journal – WSJ.com, The Christian Science Monitor, NYTimes.com, Los Angeles Magazine, GlobalPost, among others. He made his directorial debut with the film, “Leather Jude,” a short documentary about Holocaust survivor Hans Biglajzer and the significance of his craft as a master saddle maker. The film won first place in the Los Angeles Museum of the Holocaust Short Documentary Contest and debuted at the Santa Barbara International Film Festival.